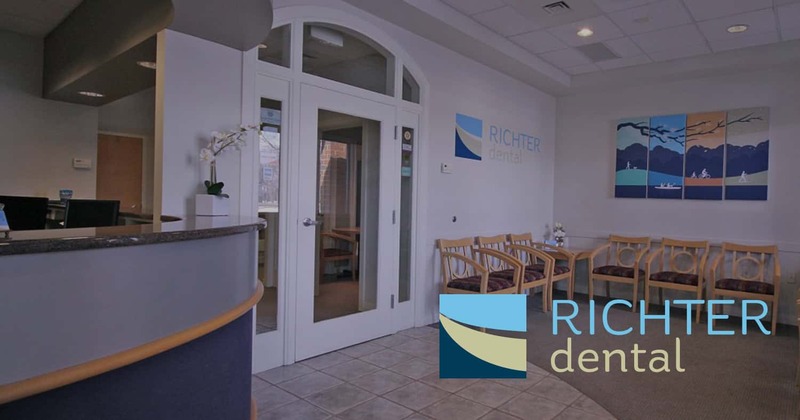 Richter Dental strives to exceed patients' expectations with exceptional expertise in cosmetic, general, and restorative dentistry. Additionally, as an expert in facial esthetics, Dr. Richter provides anti-aging and beauty injections such as Botox. With our state-of-art procedures and techniques, and proven experience, countless patients' delight in enjoying the confidence of their beautiful and healthy smiles. We understand that our patients are driven by busy schedules and wish to be seen as quickly as possible. Richter Dental meets our patients’ needs with same day appointments. Whether it’s an emergency, or you just want your smile back without a long wait, Richter Dental offers same day solutions for your dental needs. Patient satisfaction is our top priority! We will do everything possible to make your visits comfortable and memorable. Our knowledgeable, caring staff ensures a relaxing and enjoyable experience to eliminate even the highest level of dental anxiety. At Richter Dental, we want your dental health to be a priority. If your schedule requires it, we will make an exception to see you outside of posted business hours. We will work with you! Our office accepts cash, check, Visa, MasterCard, Discover and American Express. Because our goal is to ensure you receive the best dental care without worrying about the cost, we offer our patients assisted financial plans through CareCredit and Lending Club. Both are affordable options used by many of our patients to pay for their dental treatment. The Richter Dental Membership Plan is designed to provide affordability and greater access to the highest quality of dental care. To learn more, contact us at 1.833.RICHTER. Richter Dental wants to change lives for the better. You can be confident that our professional staff will be understanding and sensitive to all of your dental concerns and needs. We provide unmatched, top-quality care and guarantee 100% satisfaction! Our primary concern is the dental health of our community. During the more than 25 years of serving the Northwest Indiana region, Richter Dental has improved lives by sponsoring many local charities and events including Dentistry From the Heart. Our ongoing commitment to help others allows us to give back and show appreciation for our community.